Happy Monday! This past weekend was so much fun, and I honestly wish I could share every part of it with y'all. That post would be way too long, so as of right now, I am just sharing one part today. 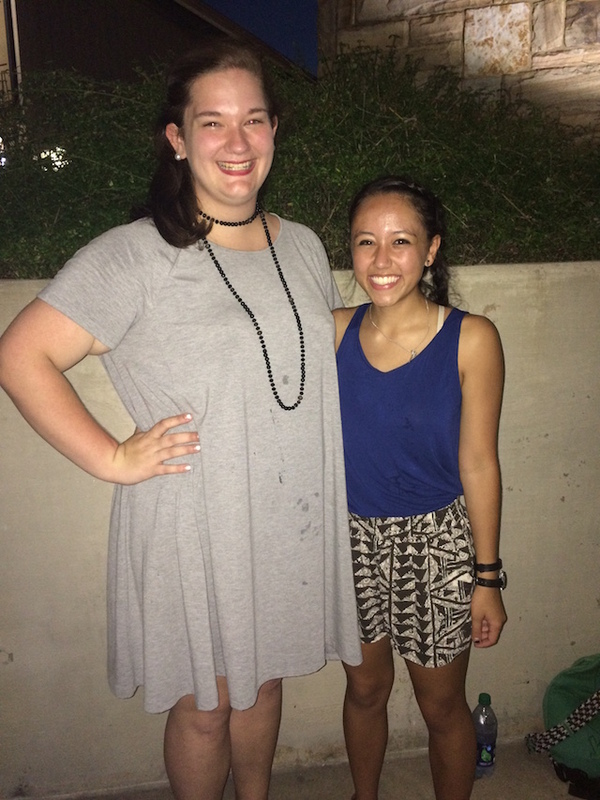 After going to my first sorority swap on Thursday, I went to a Ben Rector concert with one of my friends Caroline who I know from home! 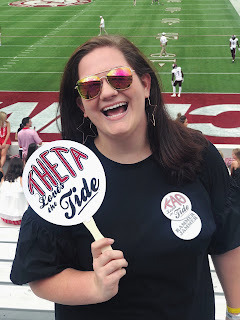 I wasn't sure what to expect because I obviously like Ben Rector enough to buy a ticket to his concert, but I was not like obsessed with his music. I was not disappointed at all. The concert was so amazing. I had such an amazing time, and I am so glad I got to go with Caroline. The amphitheater is a little out of the way from campus, but you can totally walk there. It might just take you a while to get there. The Amphitheater is super nice, too. I personally like it better than any of the amphitheater I have been to in Atlanta because it is smaller. Plus is is right next to the Black Warrior River, which is super fun to walk around. The opening act was Colony House, who I had not heard of before, but they were really good. I feel like they have a more of an indie rock, so if you're into that I highly recommend! Y'all, Ben Rector was amazing. I absolutely loved the vibe of the concert. It was fun and lighthearted, and it honestly put me in such a great mood because my week had been kind of hard up until then. He covered "ABC" and "I Dance with Somebody," and we even danced to the "Cha Cha Slide." I think my favorite moment was when he sang "When a Heart Breaks" or "I Like You." The concert was definitely one of the perfect ways to start my year off at Alabama, and I am so glad I got to do it with Caroline. If you're in Tuscaloosa and want to see a concert, check out the Amphitheater. The biggest acts might not be coming through, but it still such a fun place. My name is Julianna Kearney, and welcome to my blog! Here I share my thoughts and feelings on a wide range of subjects, and you can learn more about me here. Julianna Kearney. Powered by Blogger.